Wow! 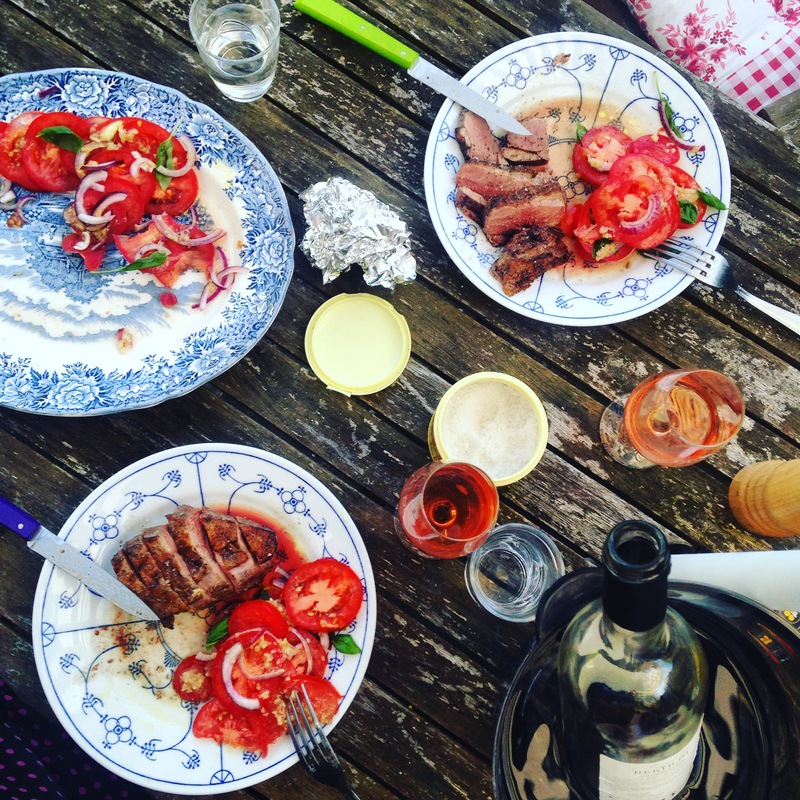 I’m back after a restful, sunny and very delicious four-day break which started with lunch out with my daughter, continued with an Italian wine tasting with our new friends from Milan and went on to include lots of delicious food (have you ever barbecued magret de canard? HOLY! ), bottles of French wine and lazy afternoons reading from a shady spot in my garden. I seriously cannot remember the last time I really took time off like that. Pure bliss! Here are a few snapshots from our weekend! The Netherlands had the highest temps in Europe on Saturday. 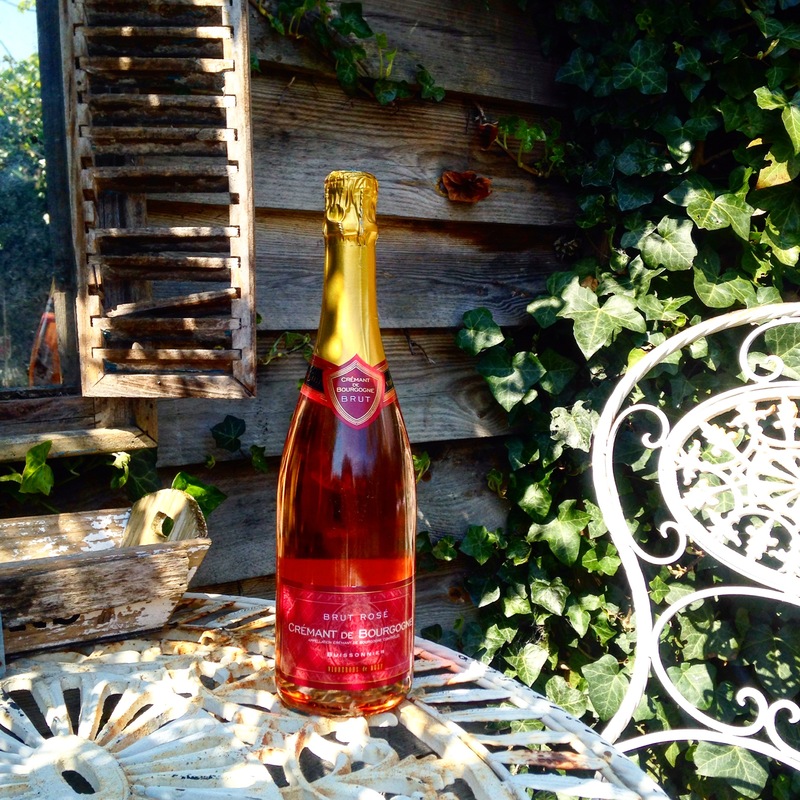 Good reason to pop open a chilled rosé Crémant de Bourgogne. 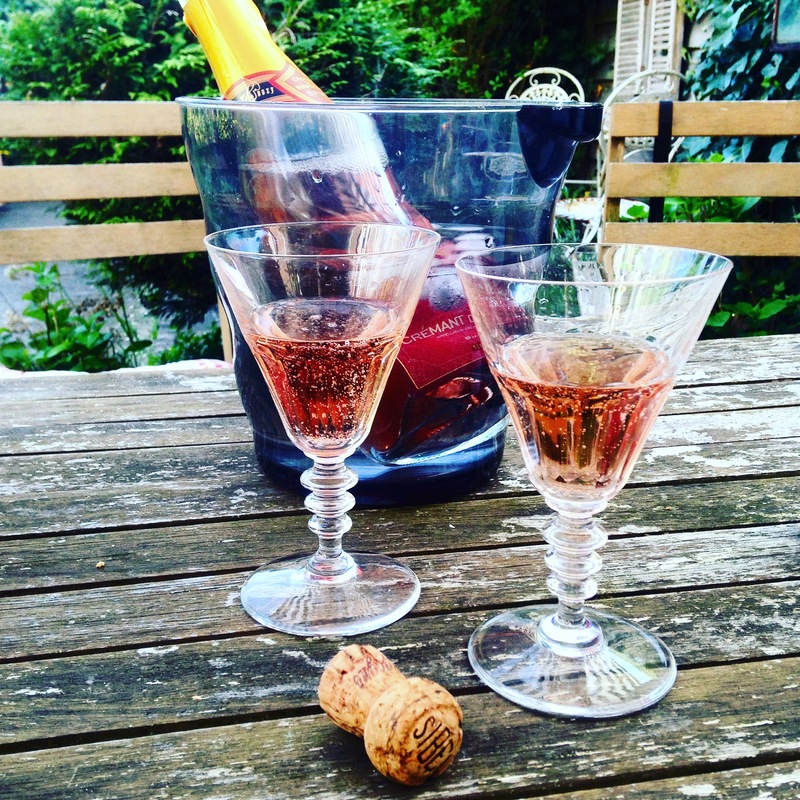 I had forgotten I had broken a champagne glass, so I used these beautiful vintage glasses instead. I think I may stick with them when serving sparkling drinks from now on. 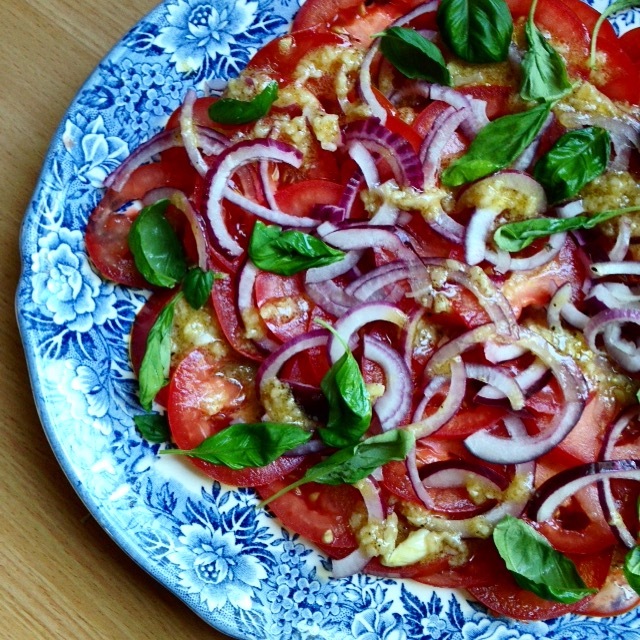 One of the easiest sides on a warm day is a marinated tomato salad. Thinly slice ripe tomatoes and drizzle with a dressing of French olive oil, red wine vinegar, Dijon mustard, fleur de sel, freshly cracked pepper and lots of crushed garlic. Scatter with thinly sliced onions and either basil or parsley. I made the salad well in advance so that all the flavors of the dressing really seep into the tomatoes. Hubby grilled us beautiful duck magrets (one of my favorite foods). 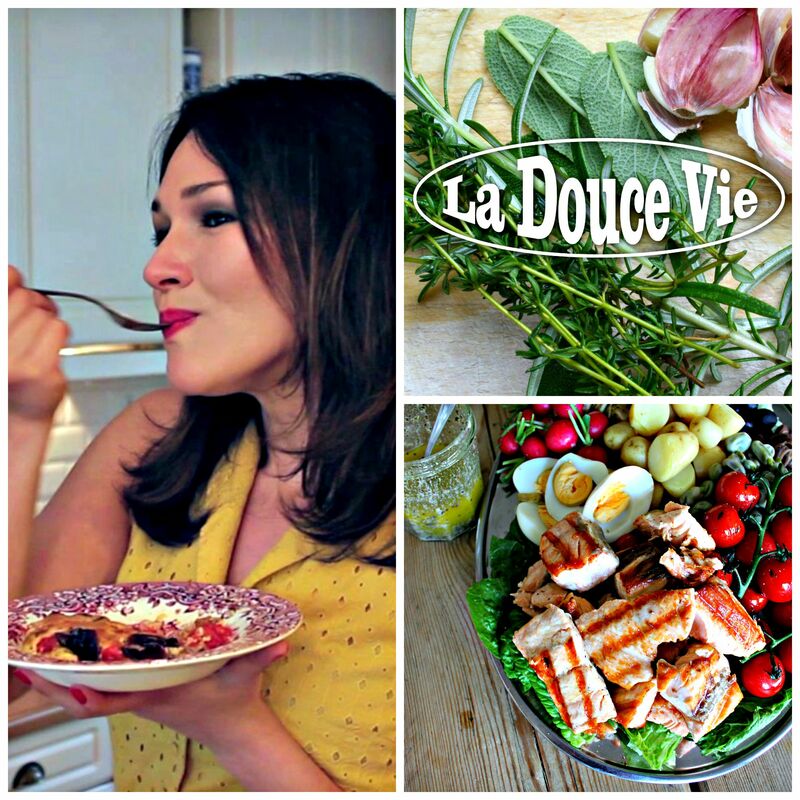 Another wonderful summer dish is a simple chèvre chaud. When we picnic on Sundays in Soumensac, we usually start our meal with this. The cheese is produced by a local farmer and is absolutely divine. You can easily make the salad. 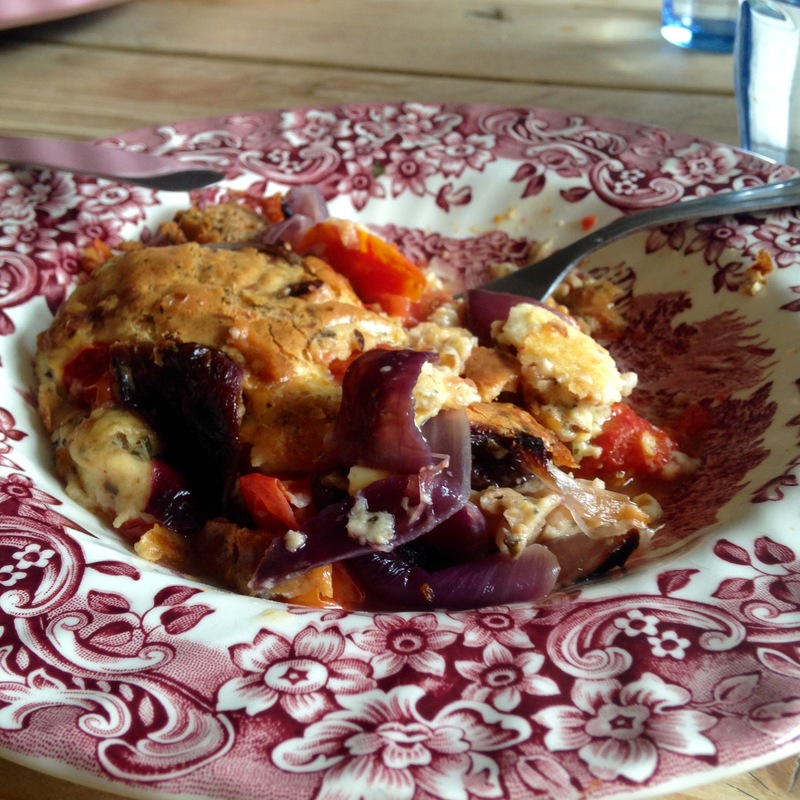 Wrap small goat’s cheeses with thin strips of bacon and fry in an ungreased pan for a minute or so a side. 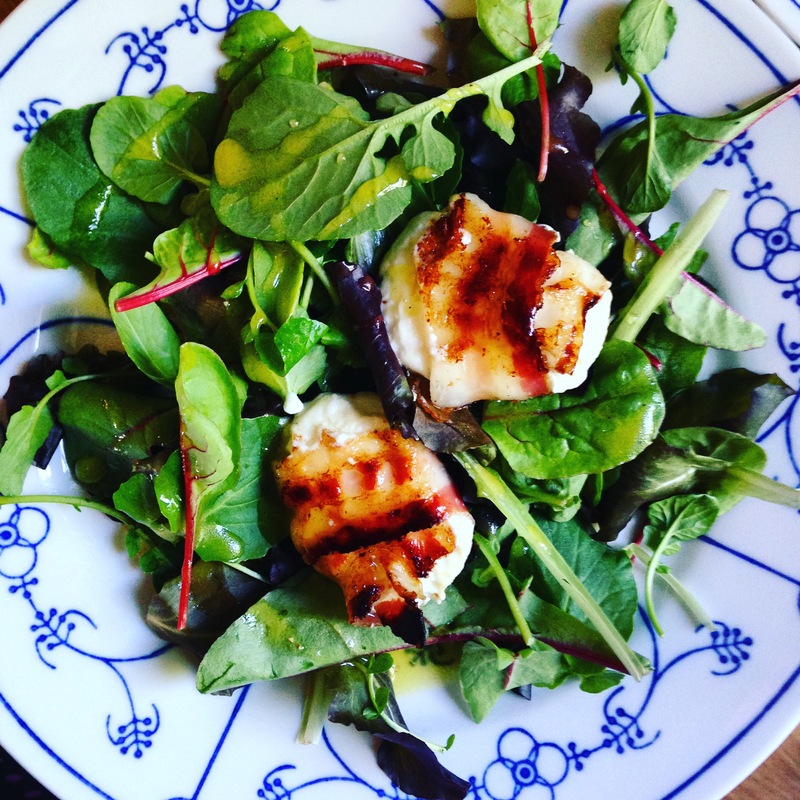 Place on a bed of fresh greens and drizzle with your own homemade honey-mustard dressing. The honey is very important! My daughter is growing up way too fast. Where did the time go? Where is it going? All the more reason to really enjoy every moment. 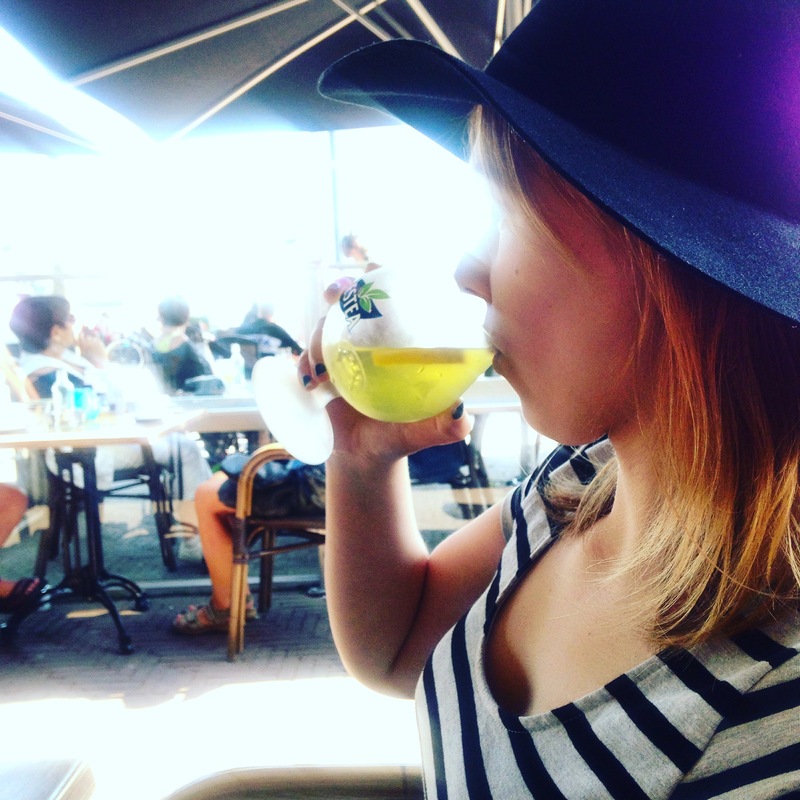 Like watching her drink a cold green tea at the harbor! Mother’s Day on Sunday, and I really felt the love! 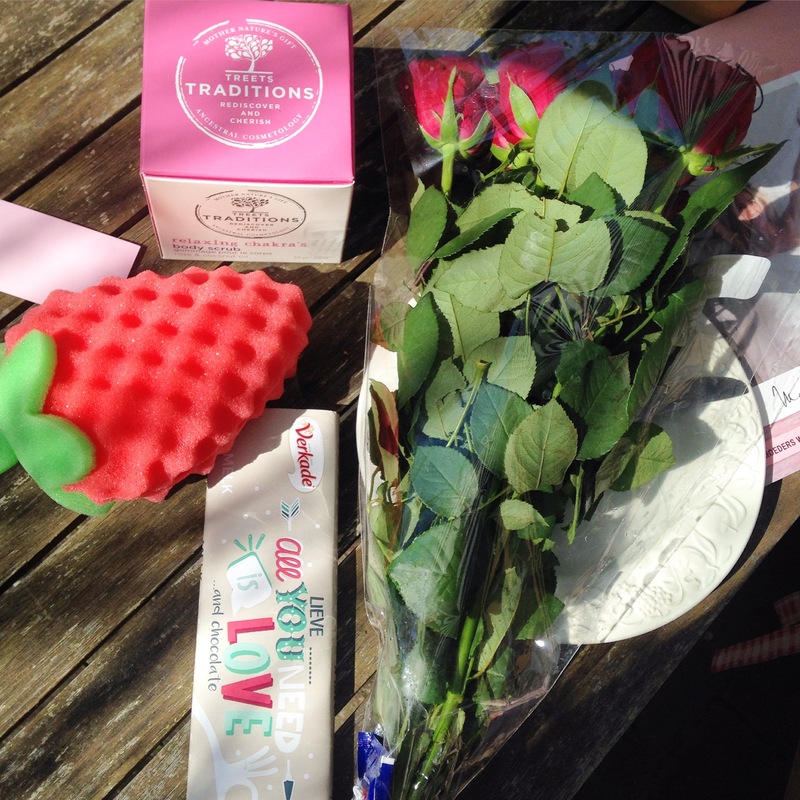 Beautiful red roses, a strawberry sponge, chocolate, a magazine and a coconut oil & rose body scrub I have now become addicted to! 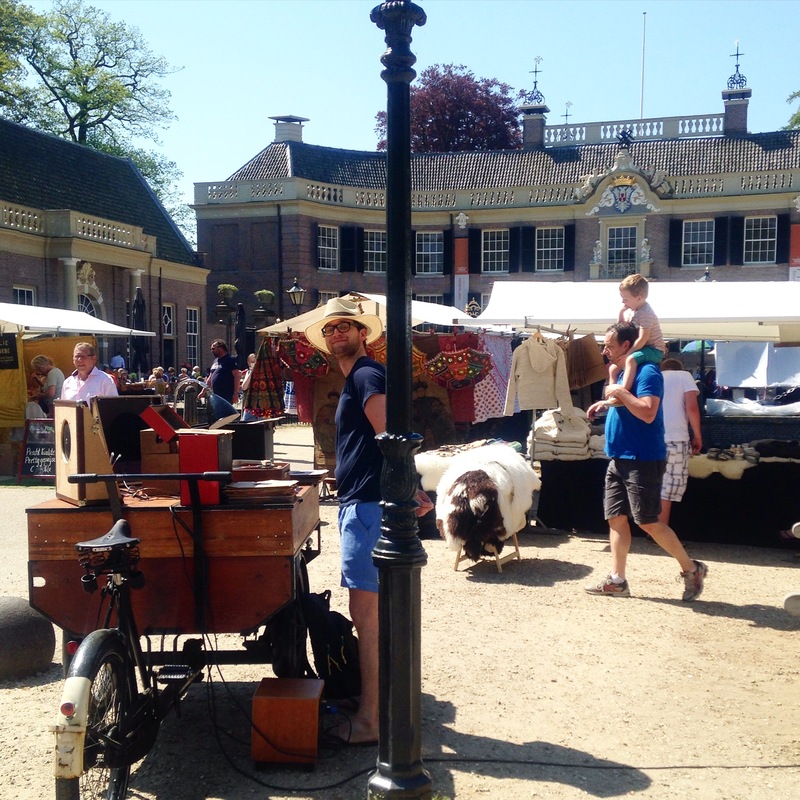 Groeneveld Castle in Baarn hosts a ‘TrotsMarkt’ every second Sunday of the month. Such a varied choice of beautiful food and a perfect spot to spend a sunny afternoon! I could not resist buying a few French sausages. We will be enjoying them this week before dinner with a glass of red wine. A perfect souvenir for a perfect four days of food, family and love! 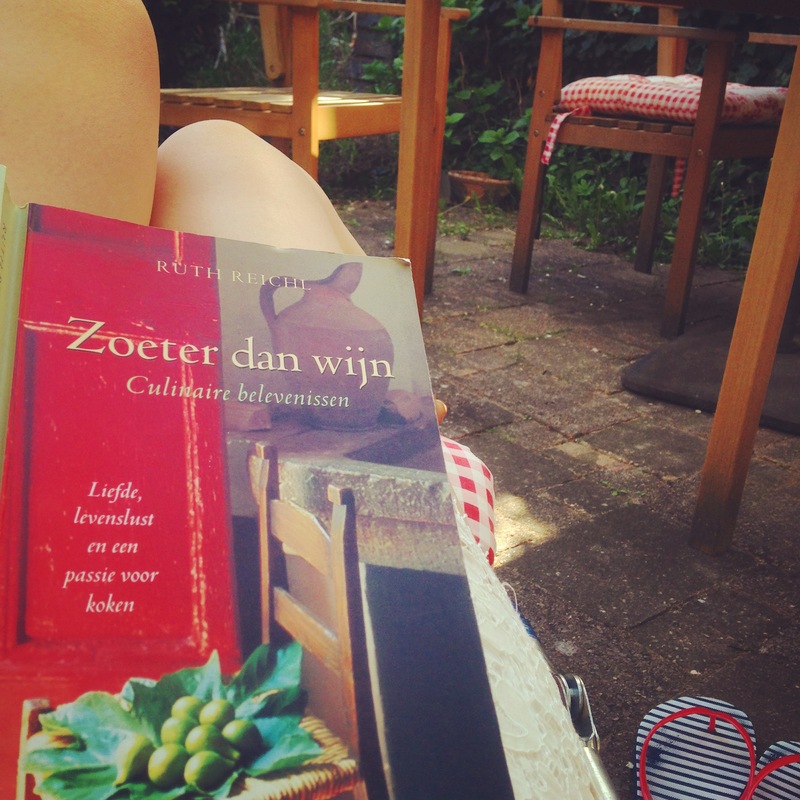 Reading Ruth Reichl ‘Comfort Me with Apples’, in Dutch. Finally… time to read a good (no, make that FANTASTIC) book! The Loire Valley, often referred to as the ‘Garden of France’, is an important wine producing regionlocated between Sully-sur-Loire and Chalonnes-sur-Loire. One of the main regions here is the Anjou. The region produces a variety of wines, but perhaps the most popular (certainly here in the Netherlands, especially since the 70s!) is the Rosé d’Anjou. 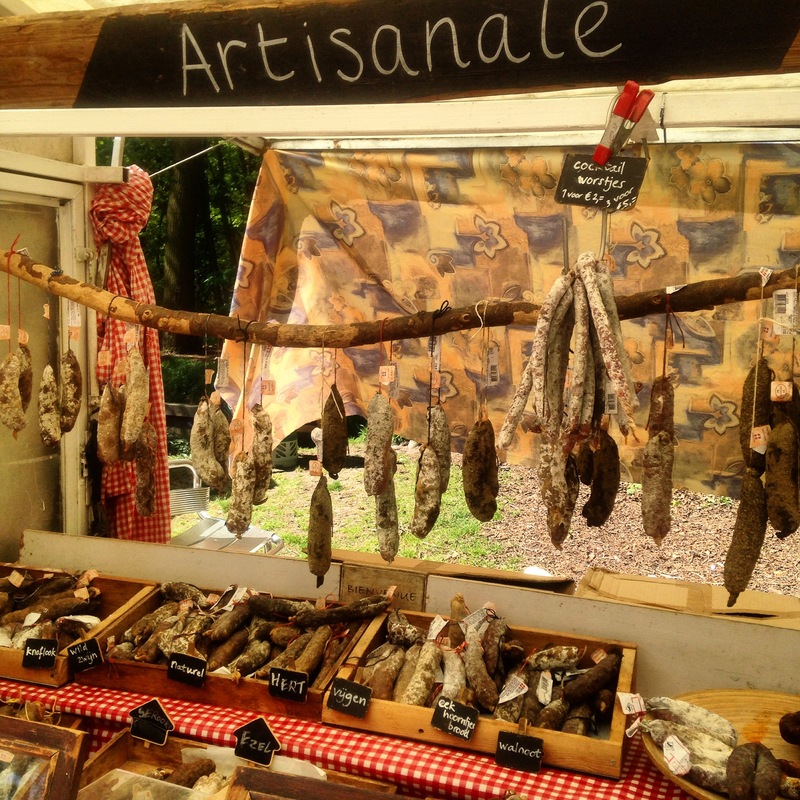 When I’m in France, a stroll through the market is the most perfect start to a warm spring or summer day. With an empty basket (and usually an empty stomach), I slowly make my way through the various stalls, dreaming up recipe ideas as I go along. It isn’t long before that basket is bulging with fresh fruit, crisp vegetables, stinky cheeses, a few dried sausages, bread, and of course, a bottle of local wine.